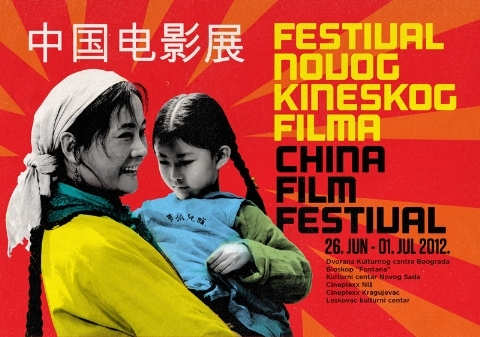 (Belgrade, 26 June 2012) With the screening of the the film "Mother" in Belgrade Cultural Center began the First Contemporary Chinese film festival. Before the screening the audience was addressed by Acting Director of the Film Center of Serbia Miroljub Vuckovic, who said that the audience at the festival will be able to see seven movies of recent production. Deputy Director General of the China Film Bureau of the State Administration of Radio, Film and Television of China, Zhang Hongsen noted that China and Serbia have a long history of cooperation in the field of film. He recalled that the Serbian movies, like ''Walter Defends Sarajevo'' had a major influence on a whole generation of Chinese people. Zhang Hongsen said that in 2010. a Serbian film festival was held in China and that presented movies left a strong impression. ''We are confident that the Contemporary Chinese film festival will achieve the same result'' he said, adding that the Serbian audience will be able to meet the realities of Chinese life today through these films. Minister for Culture, Media and Information Society of Serbia, Predrag Markovic, said that this Festival is a great opportunity to further facilitate cooperation between Serbia and China in the field of film, including possible co-production in the future. The Festival is organized by the Film Center of Serbia in cooperation with the Cultural Center of Belgrade, and with the support of Ministry of Culture, Media and Information Society of Serbia and the China Film Bureau of the State Administration of Radio, Film and Television of the People's Republic of China. During the four days of the festival, six films and one animated film will be shown.